The new Italian President Sergio Mattarella order to open to the public the Quirinale Palace, the official residence of the Italian Chief of State which belonged to the Pope Kings and to the Kings of Italy. 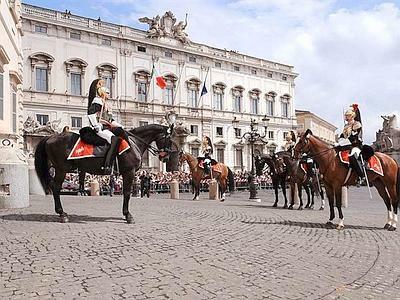 The Palace is guarded by the Corazzieri, a special honor guard of the Italian Military Police. It is also famous for its Gardens. Tags: booking, open to public, Quirinale Palace, visits. Bookmark the permalink.